The cellar was founded at the beginning of 1900 in Montalbano, a small territory in the Tuscany region that holds, still intact, all the noble characters of these ancient lands: romantic parish churches and small medieval villages with their towers, extended olive groves and vineyards, dotted by solitary cypresses, elegant and magnificent Medici villas close to laborious farmlands, in the waft of Leonardo da Vinci discrete genius. 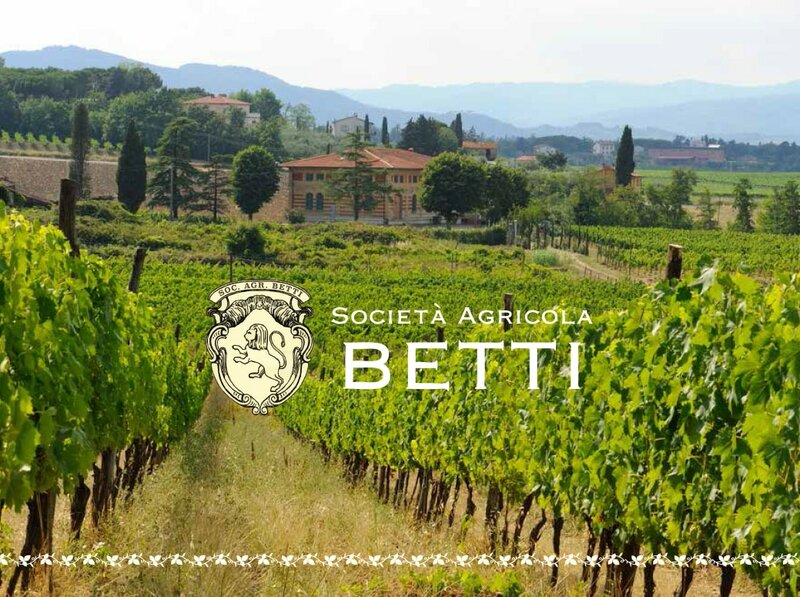 The vineyards of Fattoria Betti are grown on clay soil, located 150-200 metres above sea level. Mostly the vineyards are planted to Sangiovese, Cabernet, Trebbiano, Canaiolo Nero and Merlot. They are cultivated using the spurred cordon systems, and processed through partial grassing and organic fertilizers. Once optimum ripeness is achieved, all grapes are hand harvested and meticulously sorted. combine modern technologies with the ancient art of winemaking, taking particular care to express regional fruit characteristics with the subtle use of oak. To produce a limited number of bottles applying the greatest possible care and constantly improving, year by year. Download the pdf file with the company presentation.